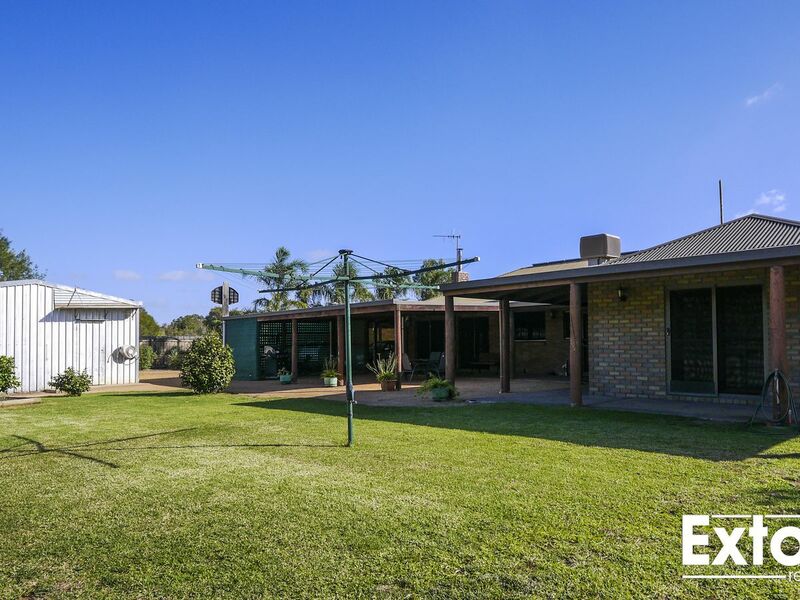 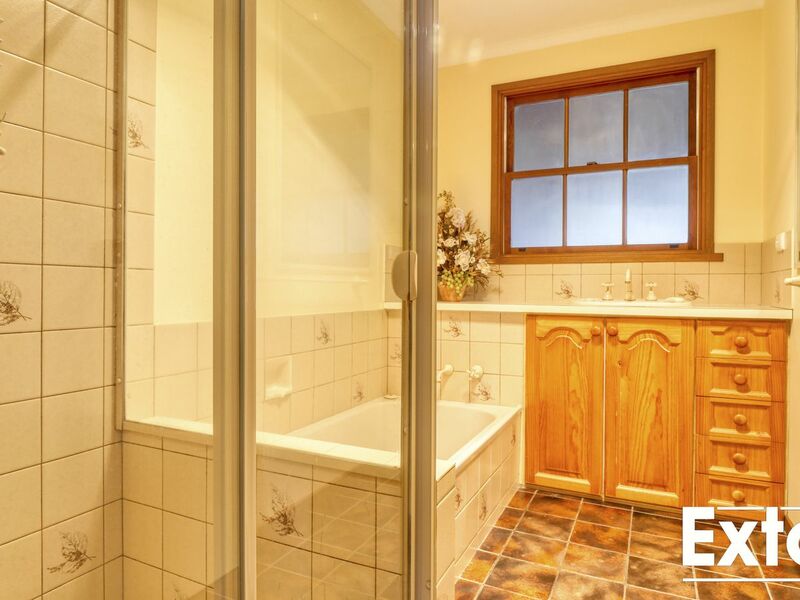 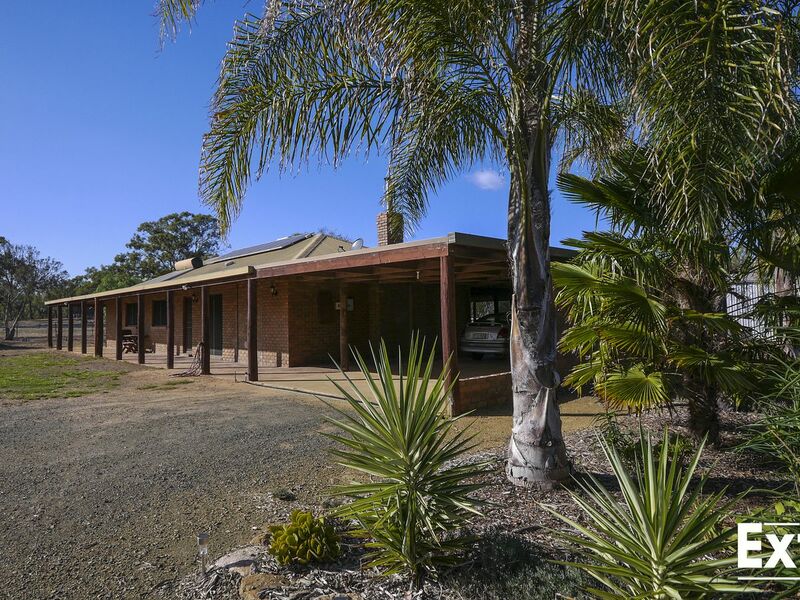 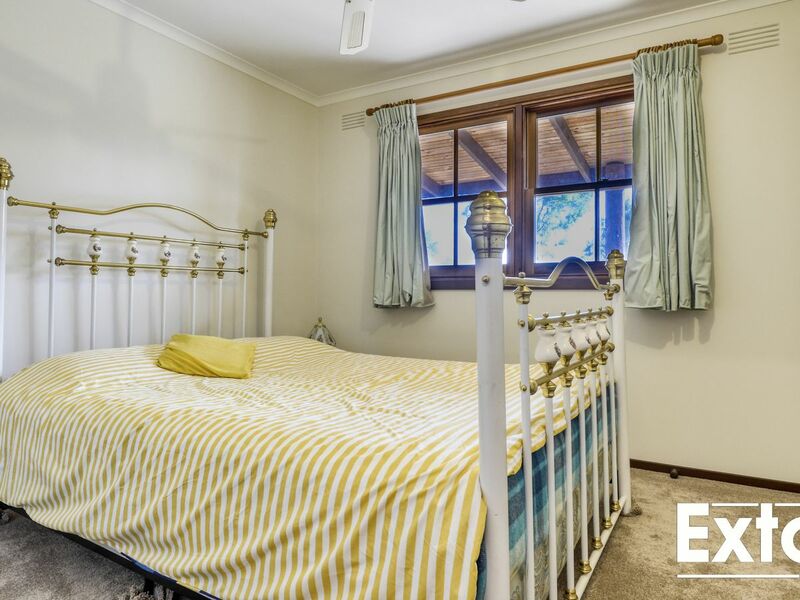 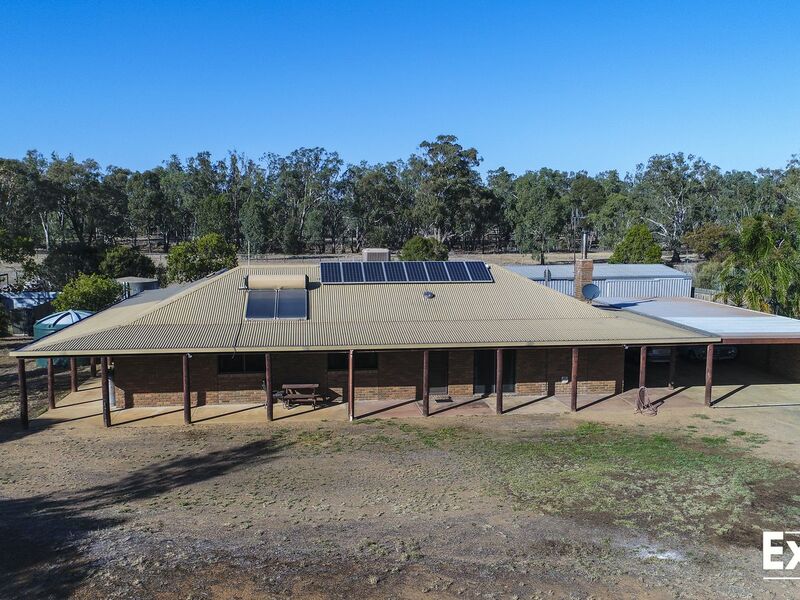 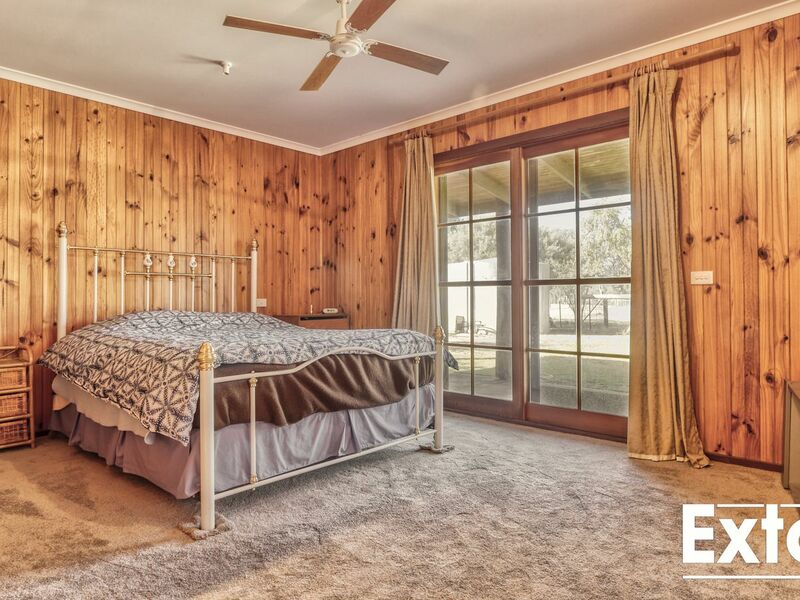 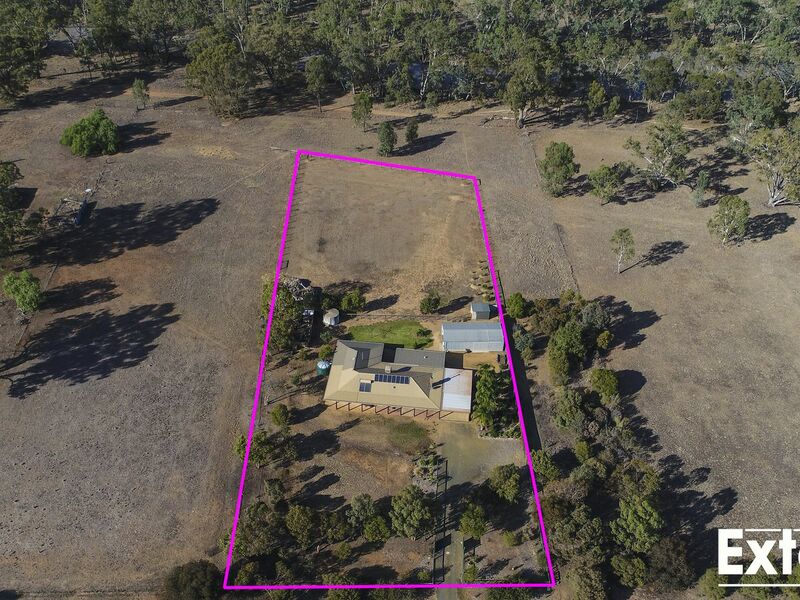 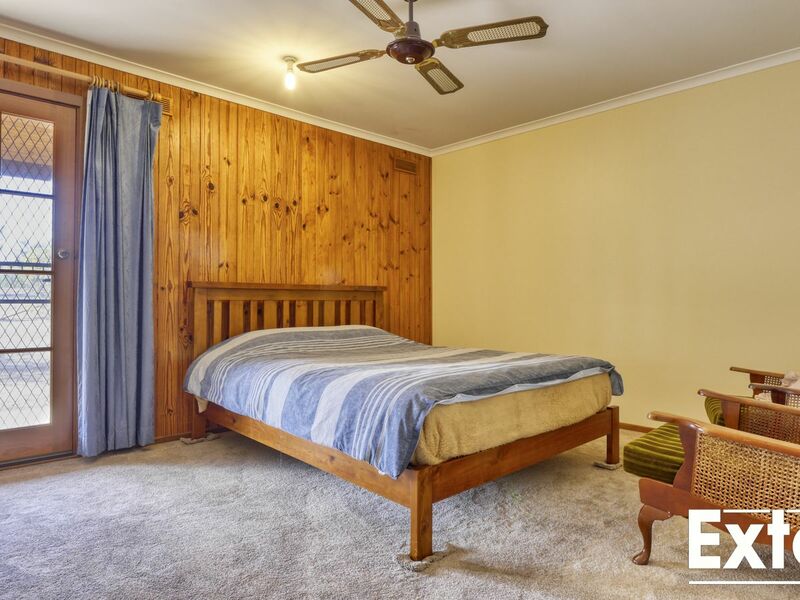 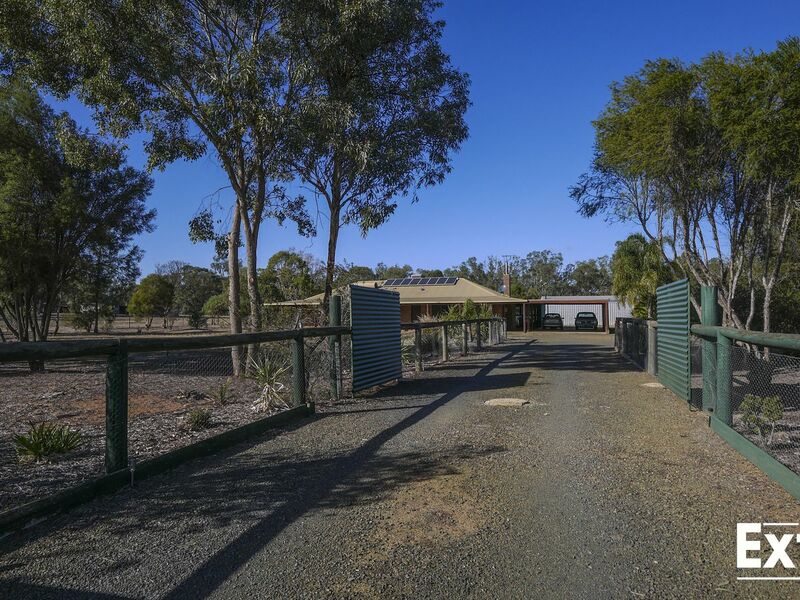 This substantial brick veneer home comprises 4 bedrooms, 2 bathroom and an open plan living/ dining area sitting on approx 1.7 acres in a highly sought after area of Tungamah. 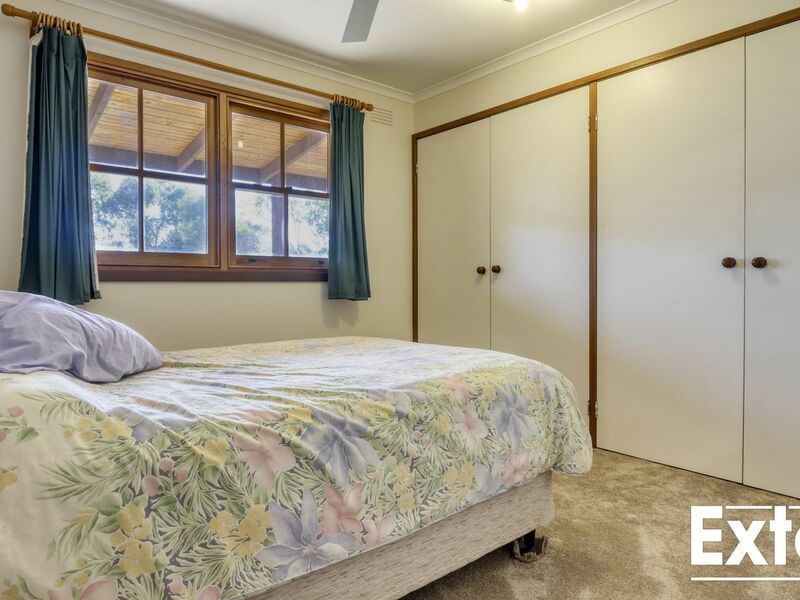 The main bedroom has an en suite and walk in wardrobe, the largest of the three additional bedrooms is also fitted with a walk in wardrobe, while the remained bedrooms have built ins, while all the bedrooms are fitted with ceiling fans. 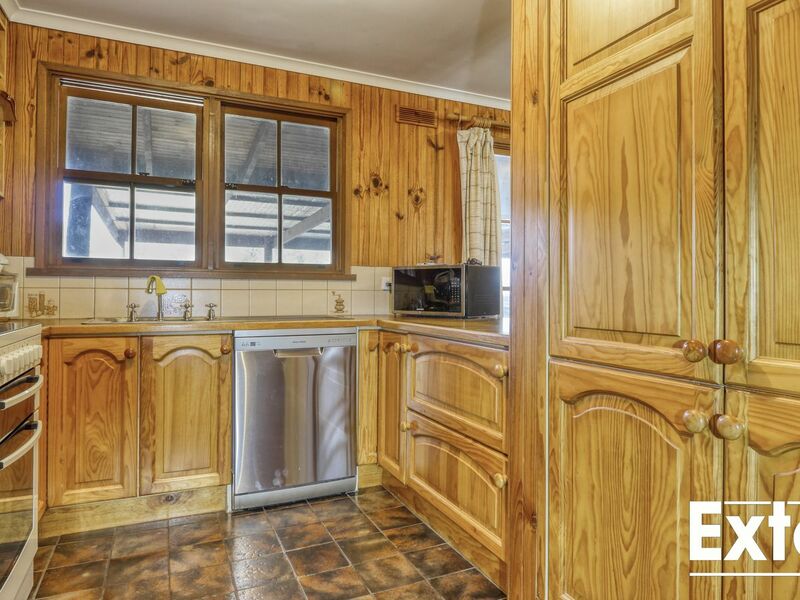 In the center of this home you will find the open plan living/ dining area attached to the kitchen, fitted with a dishwasher, an abundance of cupboard space and a breakfast bar. 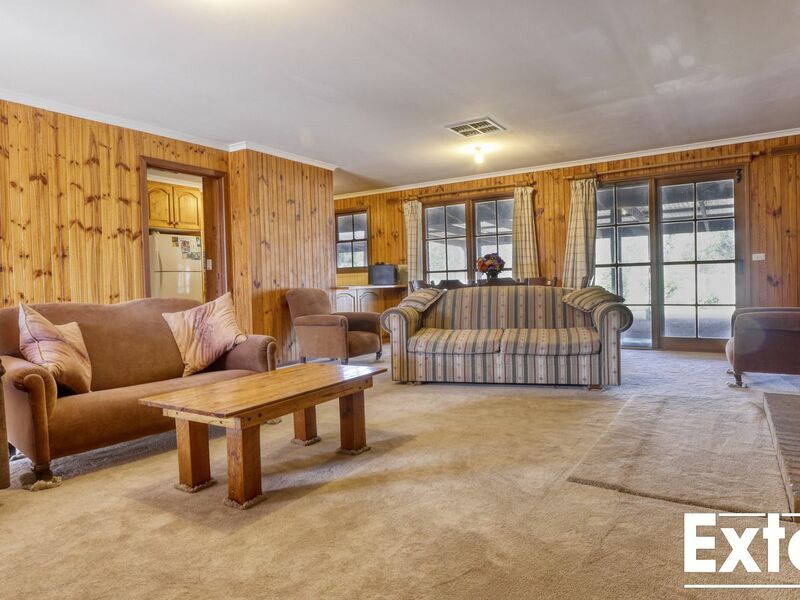 This main living space opens up to the undercover entertaining area, perfect for hosting all your family/ friends gatherings. 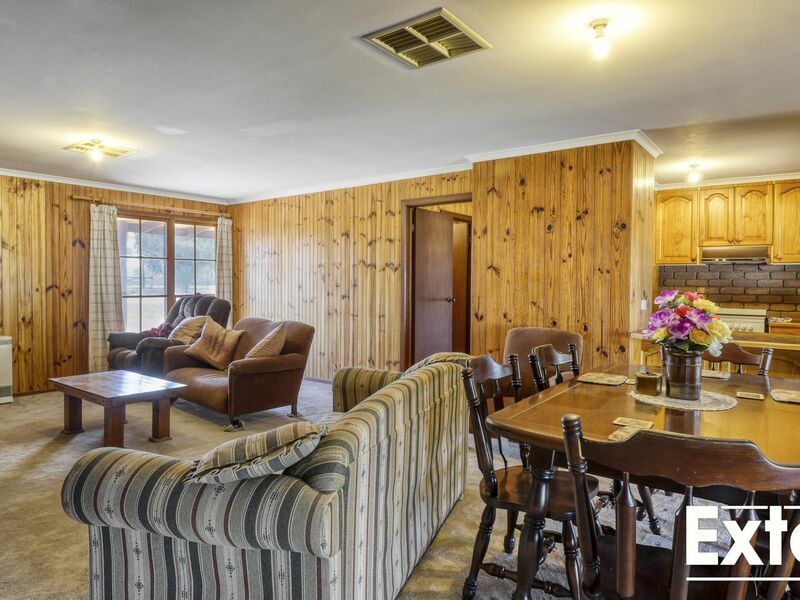 An open fire place as well as a gas heater warm this home during the cooler months while the evaporate cooling system will keep the home cool during the summer. 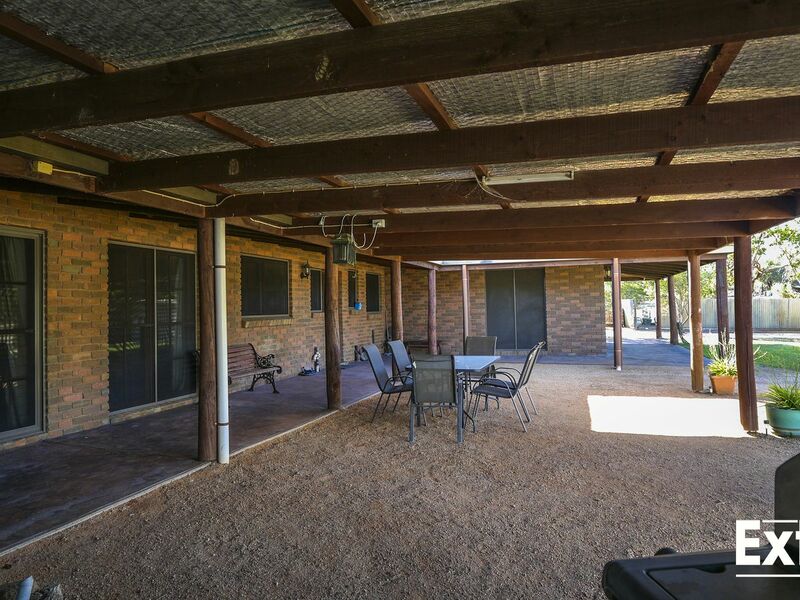 With a wrap around veranda you can soak up the sun and your surroundings while being completely undercover. 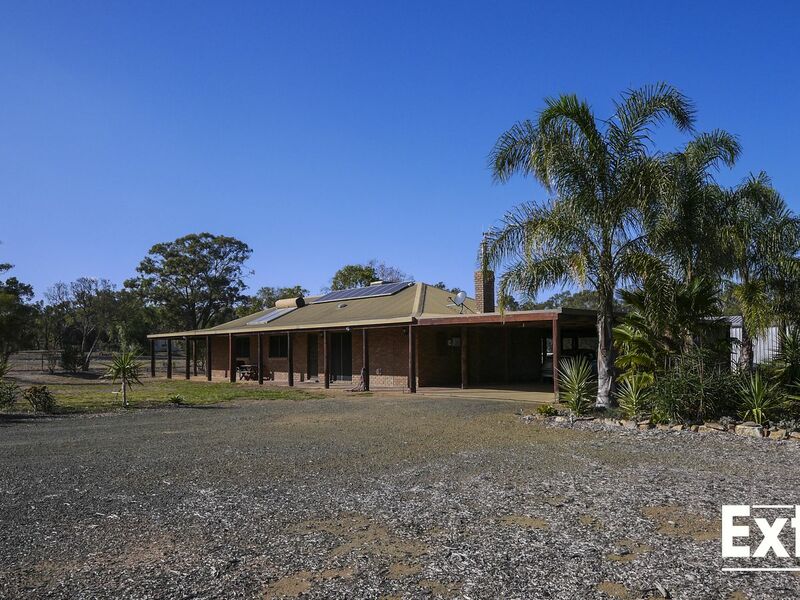 The home is also fitted with solar panels and has a large shed perfect for storing boats, caravans of the like. 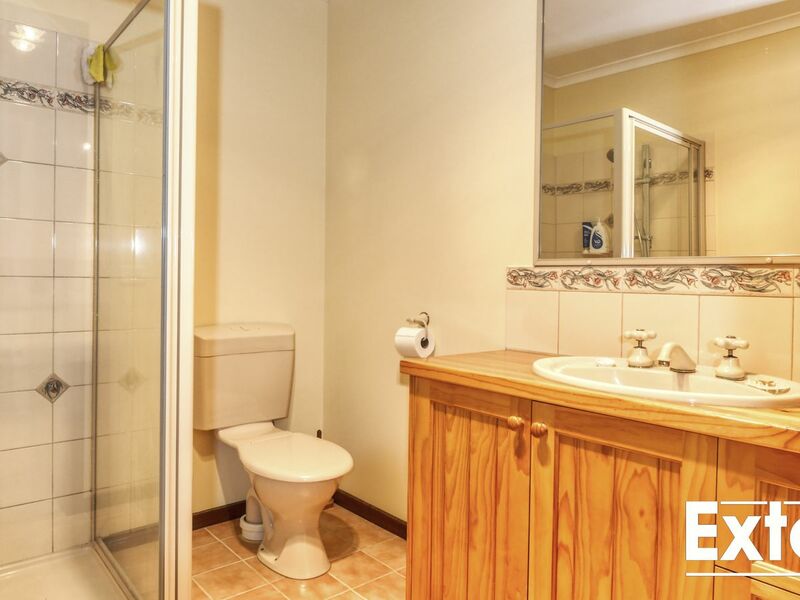 With many more features, you need to view this property for yourself to see the extent of what it has to offer. 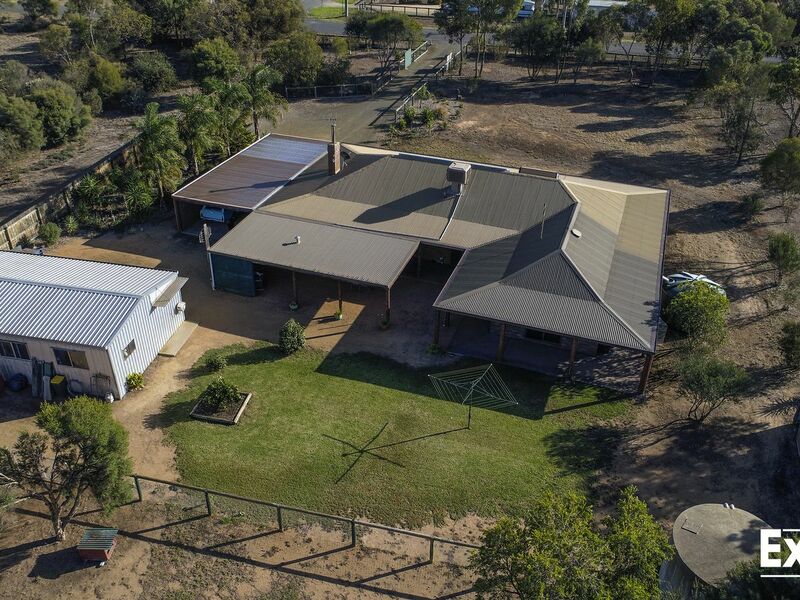 Contact our sales team today for more information or to arrange an inspection on 5743 1400.